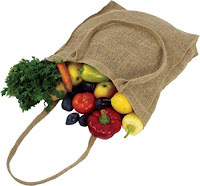 Wedge Worldwide: Does this Hemp Shopping Bag Make Me Look Like a Hippie? Does this Hemp Shopping Bag Make Me Look Like a Hippie? Simply answered, no. There are many things to address here, but still keeping it simple, it is not the hemp that makes someone a hippie and what is so wrong with being a hippie, anyway? Your hemp shopping bag actually makes you look smart. Hemp is an all around smart choice, mainly due to how earth friendly it is. It is an environmentally positive crop, improving soil quality as it grows. It requires no herbicides and is naturally resistant to insects, fungus and other pests. Hemp grows rapidly during its vegetative period, becoming tall and thick. It suppresses weeds, and shades and mulches the ground, which its deep taproots break up and aerate. These attributes promote healthy microbial soil life and leave the earth in a condition where it is easily worked and able to retain moisture during the next growing season. With that said, an additional fact is that hemp is reusable and durable. The material is good throughout the growth and use stages of it's life. Hemp Shopping Bags are a superior choice to any common plastic (and paper, for that matter) shopping bags because they are an easy way to decrease the amount of waste we create each year. A hemp shopping bag adds the bonus of it being created from a sustainable plant, that has a positive impact on the soil as it grows. Check out the rest of our reusable shopping bags and our other hemp products.